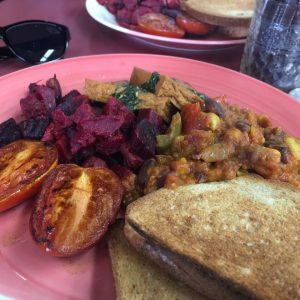 The vegan breakfast at At As Nature Intended was perfect. Homemade Baked Beans, marinated tofu, roast tomato, roast veg and toast. Delish! We had another lovely Vegan ACT coffee morning at My Rainbow Dreams in Dickson. 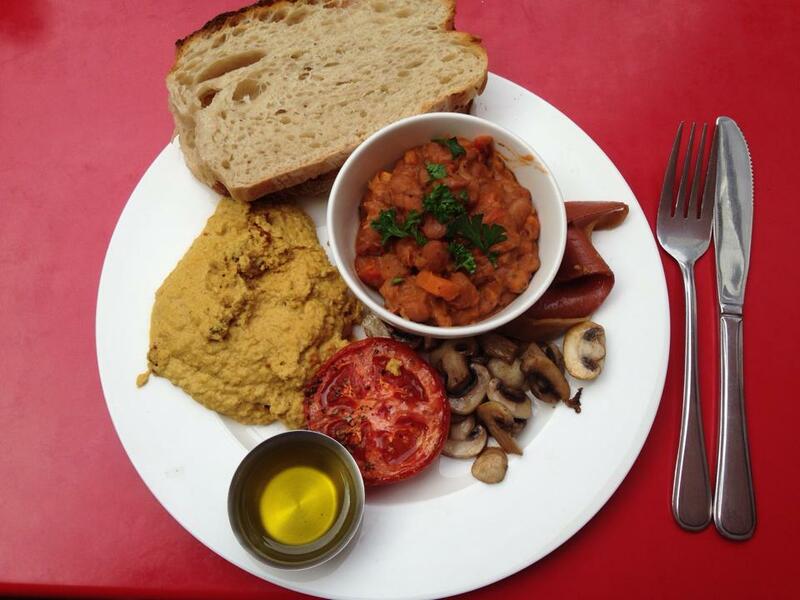 This is their Rainbow Brekkie which is delicious – coconut scrambled Tofu, home made baked beans, tomato, mushrooms, not bacon and warm crusty bread with olive oil.